Want to save up space in your child's room? Then this wood twin bunk beds should do it. It comes with lower drawers. 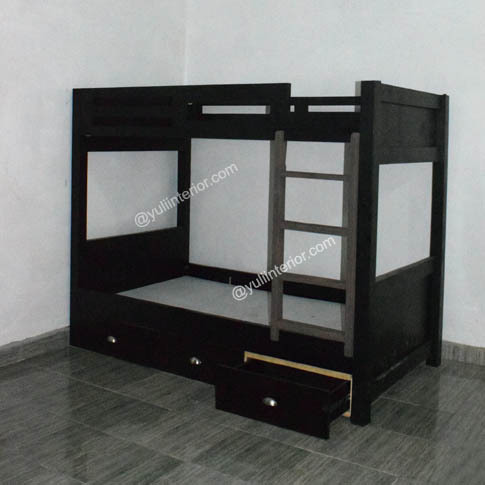 With its contemporary look and integrated ladder, this bunk bed is perfect for any room. Perfect for space saving needs. Holds a 6 by 4 mattress.